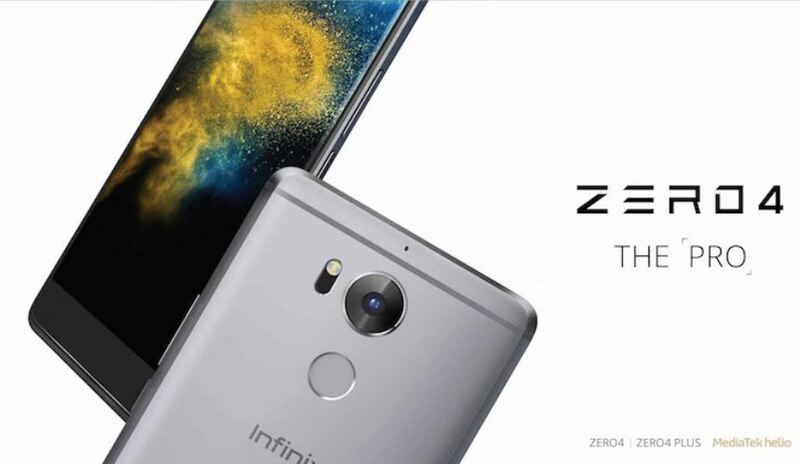 Infinix, a leading mobile device manufacturer in more than 20 countries globally, recently released the new flagship ZERO4 and ZERO4 Plus mobile phones. Designed to appeal to professional and personal lifestyles of tech-enthusiasts through the perfect configuration of advanced hardware and software. Best described by the moniker “THE PRO”, Zero4 and Zero4 Plus achieve the ultimate professional photo experience. Zero4 boasts a 16-megapixel main camera with f/2.0 lens and an 8-megapixel front camera, optical image stabilization (OIS), laser autofocus (laser AF), and 4x Sharper Zoom. ZERO4 Plus goes beyond high-performance with a stunning 20.7-megapixel main camera with f/2.0 large aperture and 13-megapixel front-facing camera, all driven by the power of a HELIO X20 10-core TRICLUSTER processor providing lower energy consumption and smooth operation (ZERO4 is equipped with an 8-Core 64-bit high-performance processor). Zero4 Plus offers a configuration of 32GB ROM + 4GB RAM to meet the capacity needs of shooting and storing HD photographs and videos (ZERO4 is equipped with a 32GB+3GB configuration). Automatic camera settings provide convenience, but rarely satisfies the creative or professional photographer. Therefore, Infinix has introduced the new Pro manual adjustment camera interface with ZERO4 and ZERO4 Plus. Now, any user can choose between automatic adjustments or an unlimited combination of manual aperture, shutter speed, color, ISO, brightness, and other controls to enrich the visual creation experience.